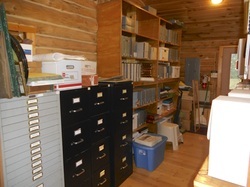 Records contained in the Burnett County Historical Society's Research Library contain the history of the county and its surrounding areas both prior to and after county boundaries were established. Information in the library collection includes manuscripts, newspapers, ledgers, photographs, maps, microfilm, microfiche, indexes, scrapbooks, taped and written interviews, booklets, as well as other materials. We welcome donations relevant to Burnett County. By donating items, you are sharing the county's history with the greater community and leaving a legacy that matters. 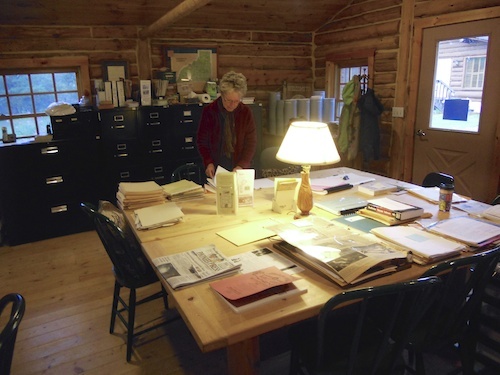 The Historical Society is responsible for the preservation of documents and providing public access to them. Please contact us to discuss items you wish to share. The Library Volunteers are happy to process written requests. Each request is for one surname. Please be as specific as possible and provide whatever information you deem relevant. A $10.00 per hour research charge applies to requests. You may specify a time limit for the research spent on your inquiry. Responses to requests may take 4 - 6 weeks. Be sure to provide your mailing address. Books relevant to the history of Burnett County, and out of print, may be available for purchase through the History Library. We suggest contacting us to ascertain whether your selection is available. If you are doing family research for relatives known to have been residents of Burnett County we have an extensive collection of historical data. Our collection includes census records, cemetery inventories, plat maps, obituaries, periodicals, and photographs. You can contact us by phone at 715 866-8977 or Email us using the form. ​On Wednesday you can call us at 715 866-8977. The Library Volunteers are happy to process written requests. Each request is for one surname. Please be as specific as possible and provide whatever information you deem relevant. Please provide a contact phone number.